I have always admired and looked up to young people who try to create something in their world. I have never met this young girl, but have heard enough about her to tell you all about a special project which you can help in making possible. It’s a new foundation called Free Yezidi, the founder is Pari Ibrahim, the mission is to create an orphanage for Yezidi children who lost their family during the ISIS attack on Sinjar. Already Pari has a list of 130 Yezidi orphans. She is on a mission to create an orphanage and a post trauma Center for Yezidis. This will be located in Duhok, the team of volunteers need $200, 000 USD to make this possible. Compared to the hundreds and thousands of dollars that go towards fancy cars, clothes and handbags, this is a little amount that will change a number children’s lives for ever and ever and ever (aaahhh if only someone famous or a company manager was reading this humble blog of mine). 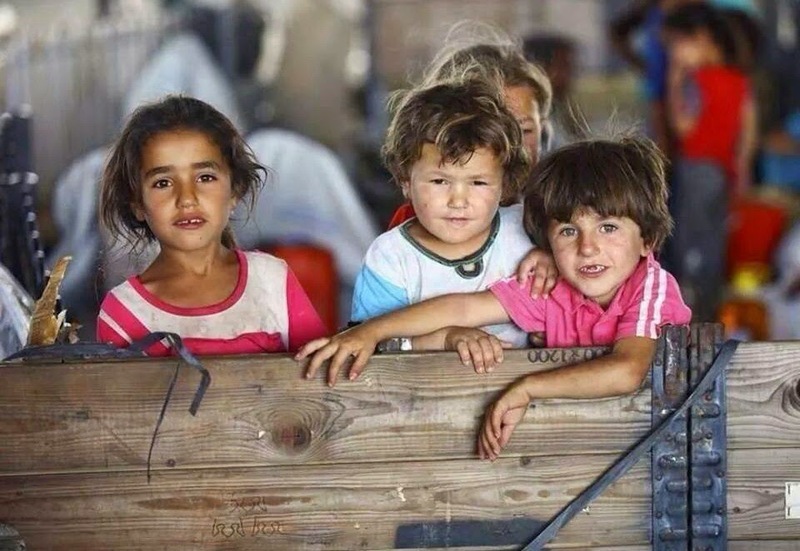 Even so, loyal blog readers if 100, 000 of us donated $2 each, we can secure a future for all the children who became victims of the ISIS attack, destroying their homes and killing their mothers, fathers and kidnapping their other siblings. You can also donate by clicking right here! Buy Art! Help the displaced! Thanks Sazan. Just made a donation! Thank you for your thought to help, I will email you now on the address you put in submitting this comment.